I actually experimented using fresh leaves when I started out but it didn’t end well. To keep it simple, you will end up with a batch of leaves going rotten in oil. 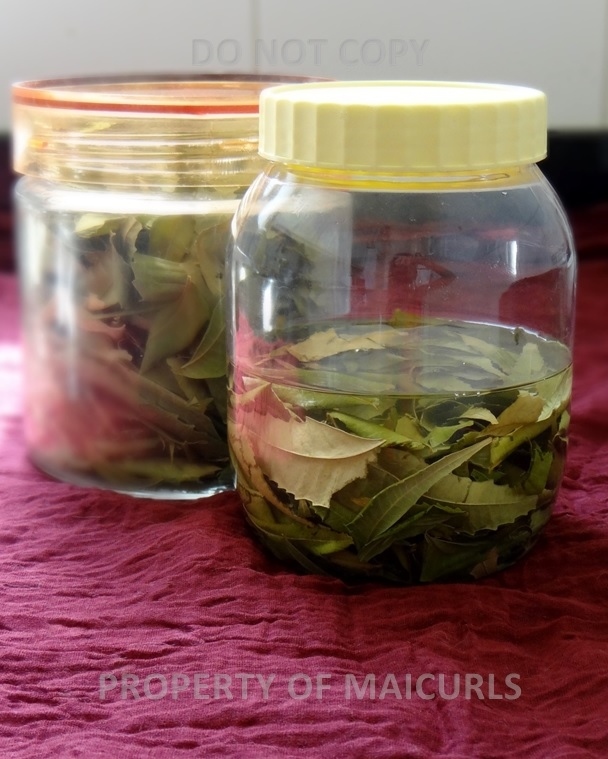 Fresh leaves contain liquid (water etc) and in an airtight container immersed in oil, that basically starts to make the leaves turn bad. My suggestion is you let yours dry (air dry) and then use them. No, which is why it’s explained as optional. Just curious on how I could use this as a deterrent to bedbug bites. I bought some Neem Aura naturals Neem seed oil and got some unrefined virgin coconut oil and some Lavender and Tea Tree oils. How would I go about mixing this, as in the ratio of each? Keep in mind the Neem oil comes in a 1oz dropper bottle…? Right, I would suggest using 3 oz Coconut Oil, 2 drops of each Essential Oil (EO) and since the Neem oil comes in a dropper I would use no more than 5 drops. You might notice that the concentrated Neem oil has an unpleasant scent (so I am told) if it is a little too much to handle then add 1 more drop of Lavender EO . You want to make sure you are using enough Coconut oil to dilute the EO since they are quite strong and you don’t want to use it undiluted on your skin. I really would love to hear how it goes for you once you give it a shot! Is it ok if we just put the been powder in the oil? where do you purchase the neem? I actually get mine fresh from Neem trees and dry them but if you have a local Indian store near you you should be able to find Neem powder from the Hesh brand. If you use the powder I would recommend that you put it in a coffee filter or perhaps a cheese cloth (I haven’t used a cheese cloth before). Once the infusion is done all you have to do is take out the filter and the oil is ready :). In case you get “bits” in the oil then just run the oil through a filter/cheese cloth for good measure. Aww thanks for asking my dear, life has been a little rocky but hey, we are alive, kicking and screaming so all good my dear 😀 have a amazing day! I am sorry to hear things haven’t been to smooth but I know you are a strong lady and will overcome anything hun :).